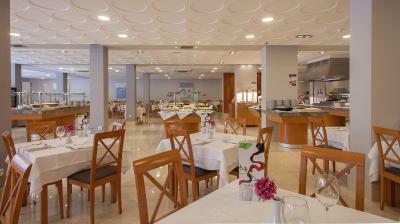 Lock in a great price for Hotel RH Princesa – rated 8.8 by recent guests! Comfortable room, excellent staff, reasonable prices, convenient car parking. Professional, efficient, friendly staff throughout. Nice room. Adequate breakfast. Comfortable bed. 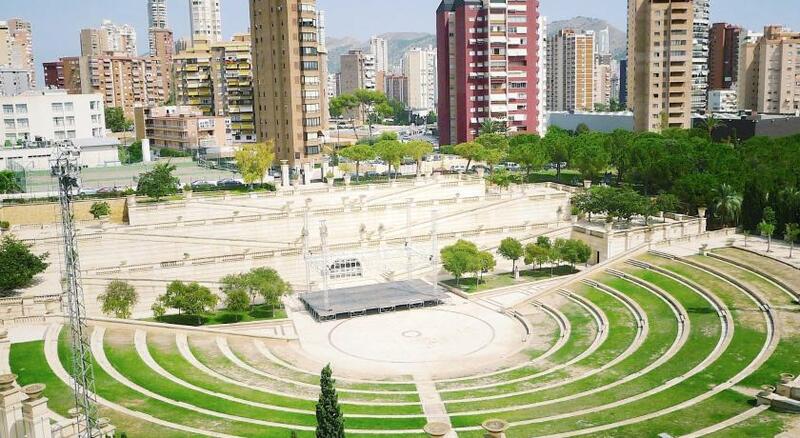 Reasonably priced (for Benidorm) secure parking. Beds were of excellent quality, great nights sleep. Food is superb. Immaculately clean and staff were super friendly. I can’t think of anything else to ask for. 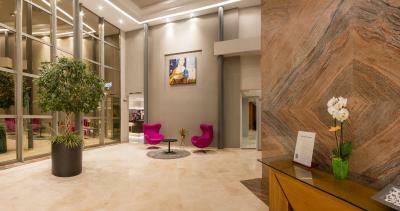 The hotel was clean and modern with excellent facilities. 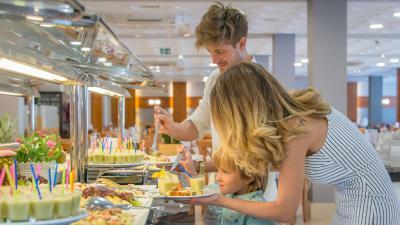 Breakfast and evening meal fantastic with everything you can think of. Beds extremely comfortable and rooms and balcony a good size. 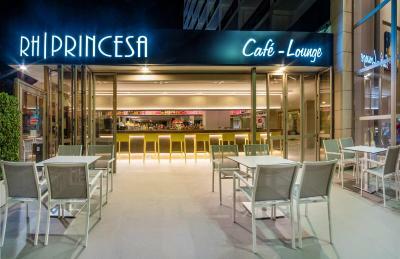 Hotel RH Princesa This rating is a reflection of how the property compares to the industry standard when it comes to price, facilities and services available. It's based on a self-evaluation by the property. Use this rating to help choose your stay! 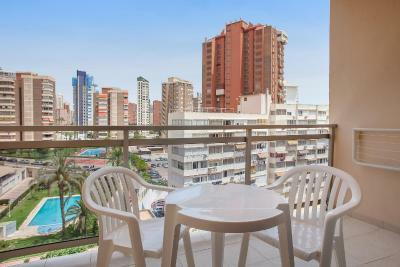 One of our top picks in Benidorm.RH Princesa has a peaceful setting in Benidorm, 1,300 feet from Levante Beach. 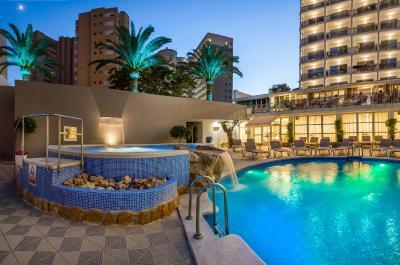 The hotel offers a swimming pool with 2 slides, a hydromassage pool and a splash zone with games for children. Free WiFi is provided. Rooms at the RH Princesa are bright and spacious with wooden flooring. They feature air conditioning, a flat-screen TV and a mini-bar. Most rooms have a private terrace. 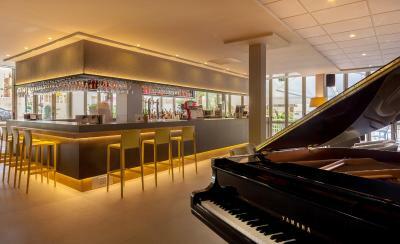 The hotel has a coffee bar, a buffet-style restaurant and a piano lounge. 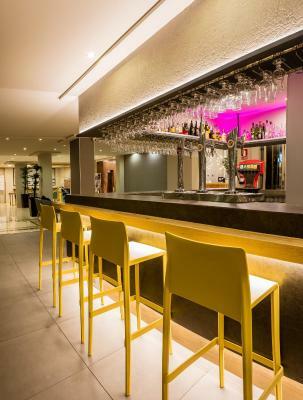 The 24-hour reception offers currency exchange and bicycle rental. There is also a children’s playground. Entry to the RH Princesa’s spa comes at an extra cost. 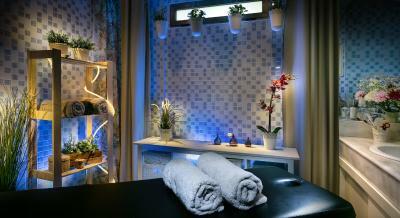 It offers beauty treatments and includes a heated indoor pool, hot tub and Turkish baths. There is also a gym, with aerobics classes. 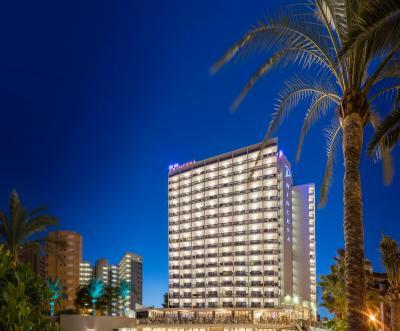 The hotel is a short walk from Benidorm’s Aïguera Park. There are plenty of shops, markets and bars nearby. Aqualandia Water Park is less than 1.9 mi away. 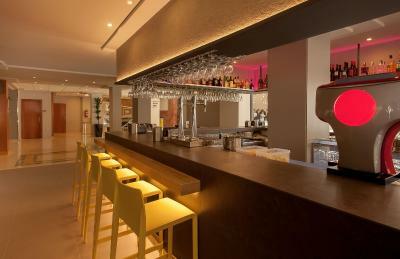 When would you like to stay at Hotel RH Princesa? This bright and spacious room has hardwood floors and a private terrace. It has air conditioning, a flat-screen TV and a minibar. Fitted with hardwood floors, this bright and spacious room has air conditioning, a flat-screen TV and a minibar. Featuring a private terrace, this more spacious room includes air conditioning, a flat-screen TV and a minibar. 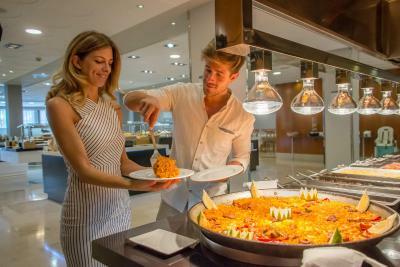 House Rules Hotel RH Princesa takes special requests – add in the next step! 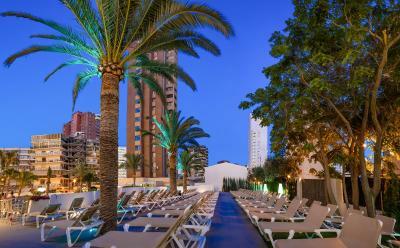 Hotel RH Princesa accepts these cards and reserves the right to temporarily hold an amount prior to arrival. Covered parking is offered at the property for EUR 12 per day. Uncovered parking is offered for EUR 10 per day. Please note that for half-board and full-board rates drinks are not included. Location is perfect. The beach and old town is very close, large supermarket around the corner. Hotel was clean and tidy, staff very friendly and helpful. Bar tenders work very long hours though, felt sorry for them as they looked tired in the late evening, but despite that they were still smiling. Food was ok, always warm. Indoor pool with jaccuzzi was great. If you don’t have your own swimming cap (which is a must) it is arround 2€ at the reception. Generally very good, excellent service all round. My first stay at this hotel I found the Hotel staff excellent in all areas of this hotel. Very Welcoming , friendly. 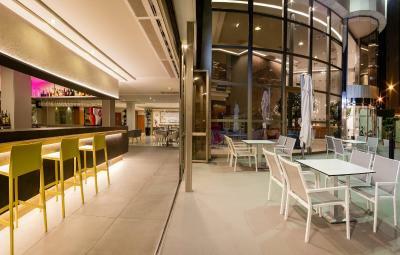 Travelling solo , Checking into this hotel I was warmly welcomed by Franco at reception Hotel facilities great. hotel is clean, bright and relaxing. Buffet Food choices excellent. Room/bed comfortable. Room cleaned daily. 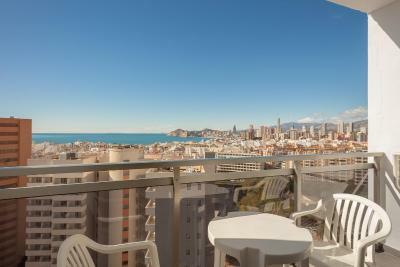 Great location with short walks to the old town, beach/promenade. Clean with friendly helpful staff. Good location. Great value for money. The reception staff were so helpful, nothing was too much trouble for them. for a 4 star i would expect the room to com with an iron at least. I had to ring for 1 x 2 times for a hotel that rakes in the £ its not a massive expense to put on in all rooms. Hotel was nice and clean and location was ideal for the old town and for a stroll along the beech to bars restaurants etc. Food was lovely and a little something for everyone.